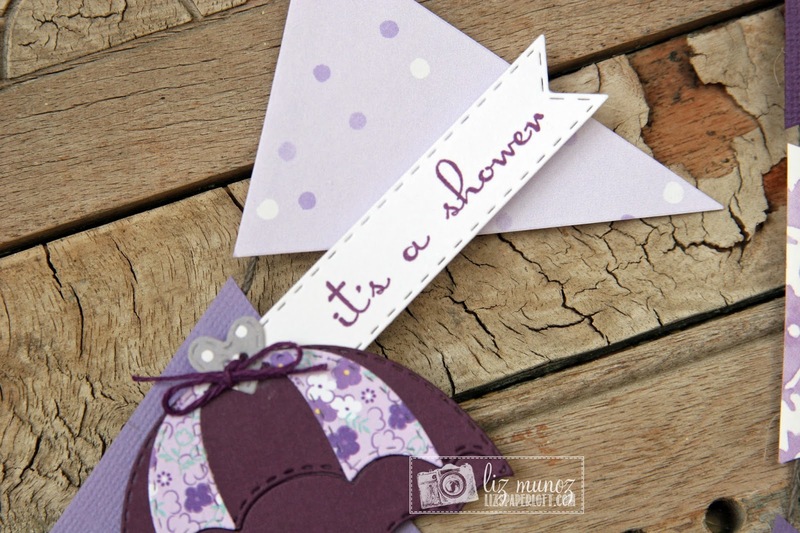 Liz's Paper Loft: It's A Shower! Hi paper lovin' friends! 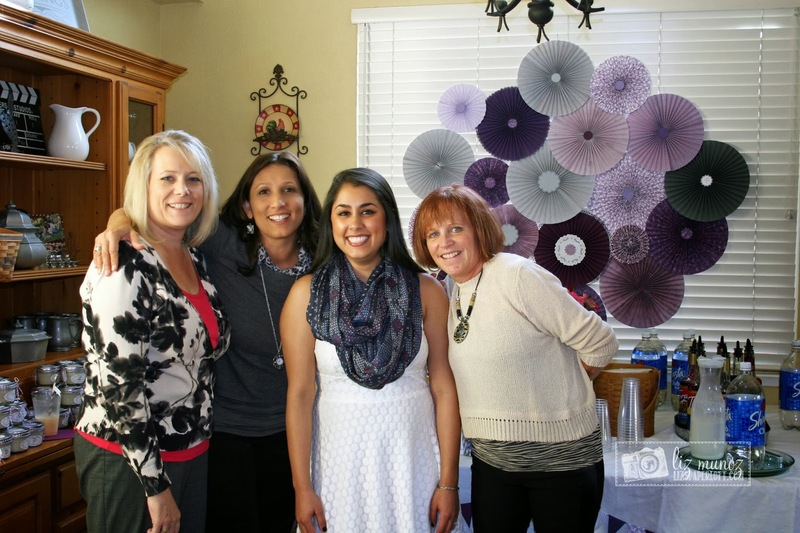 Today I'm finally going to share with you pictures and projects from my daughter's wedding shower. Sorry it's taken so long to get to it! Since there are a lot of pictures I'm not going to do a ton of chatting. 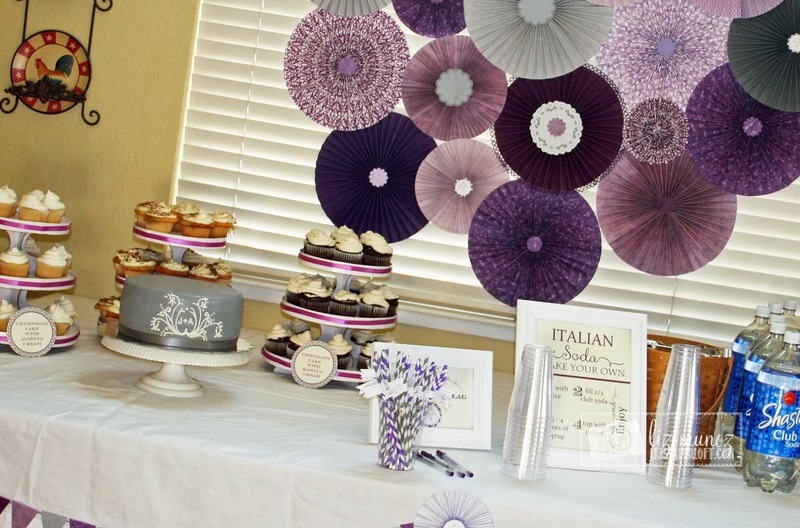 However I do want to let you know that it didn't take a bunch of stamps or dies ( all are My Creative Time stamps and dies) to create a pretty and whimsical event! 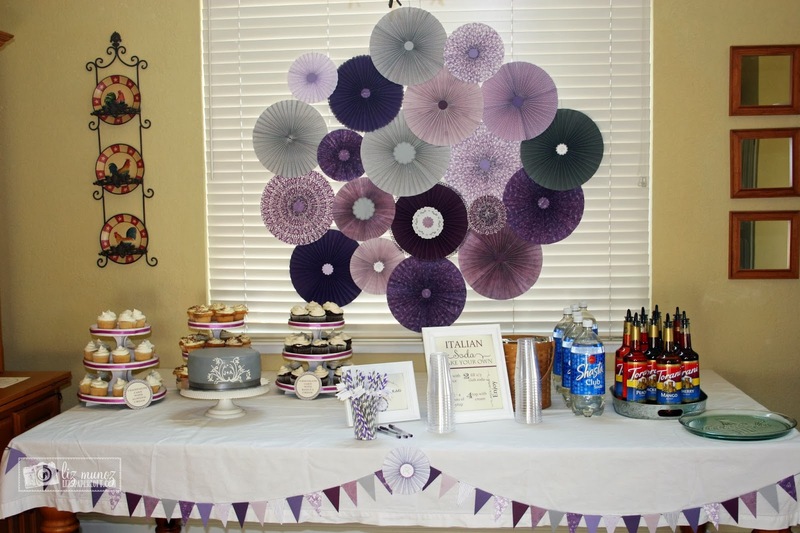 The theme was umbrellas and pinwheels, which made it easy to do! I made my "infamous" English Toffee for her :) I've posted the recipe in the past, you can use the search to locate it if you'd like. 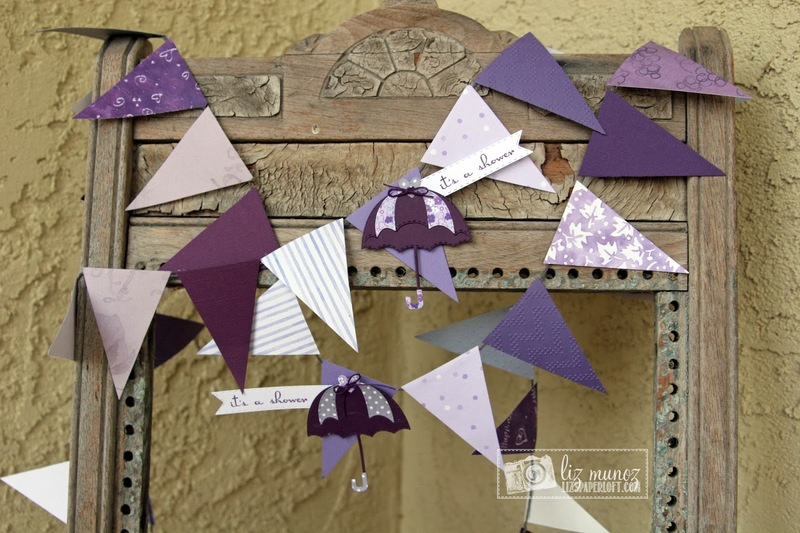 The pinwheels were held together using Scallop and Stitched Circle die or Stitched Doily die. 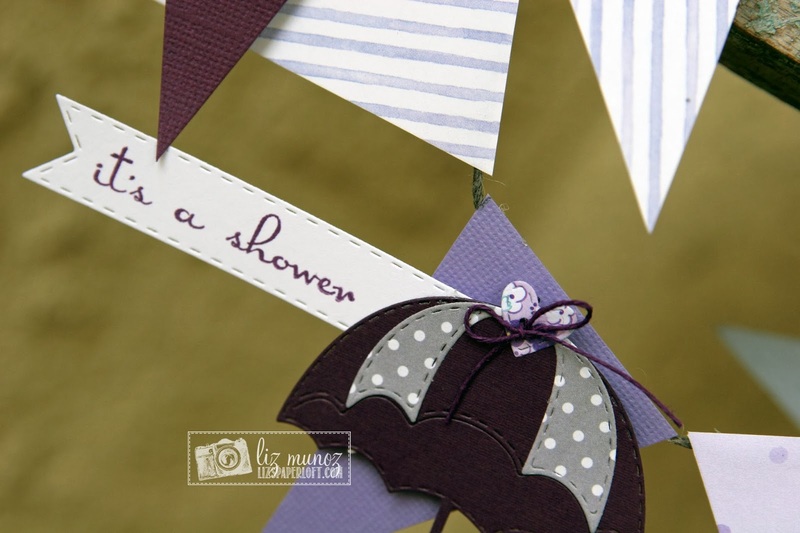 Some were stamped with the umbrella from All Around Everything Accessories stamp set. Two of her aunties and honorary auntie (my best friend) threw her the shower! She is blessed to have many wonderful women in her life! 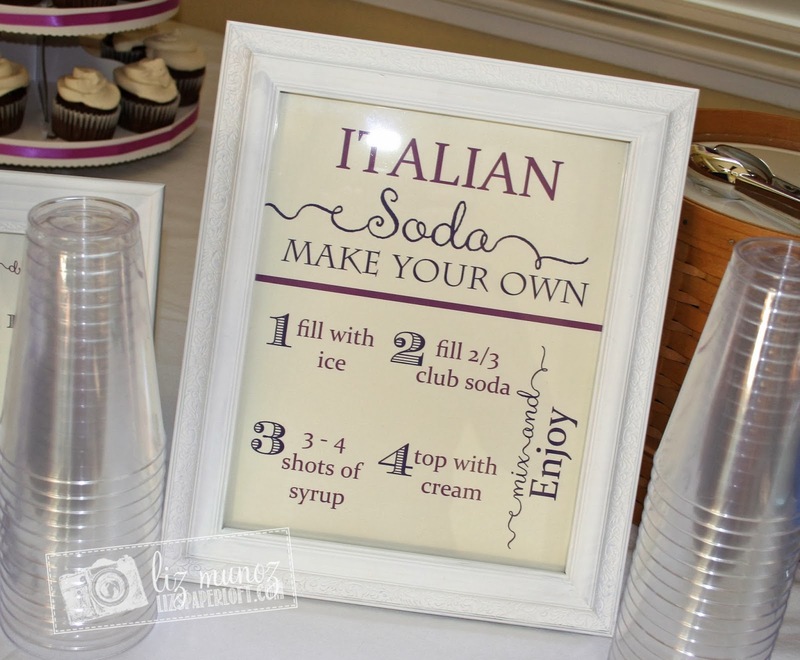 We had and Italian Soda Bar that was really fun and different. Most of the guest hadn't ever had it before. 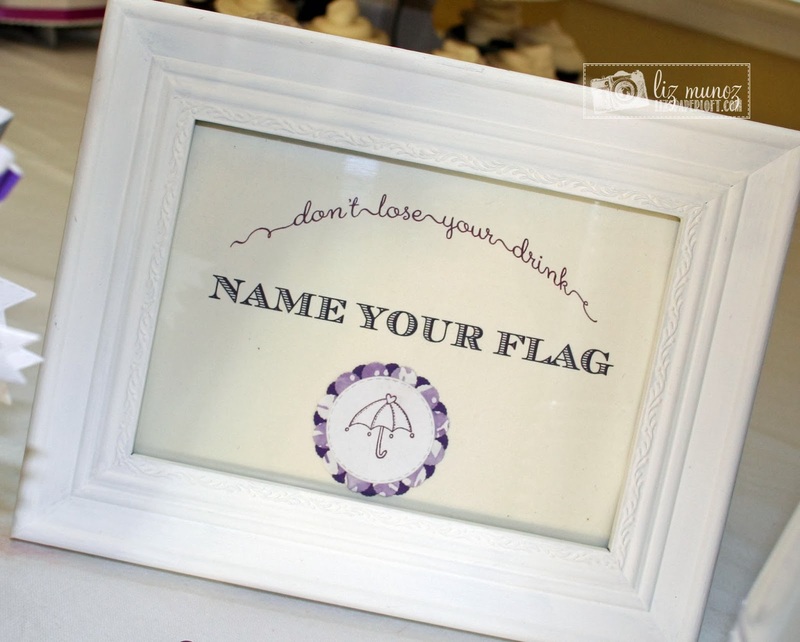 We carried the same umbrella stamp and die as the pinwheels through out. 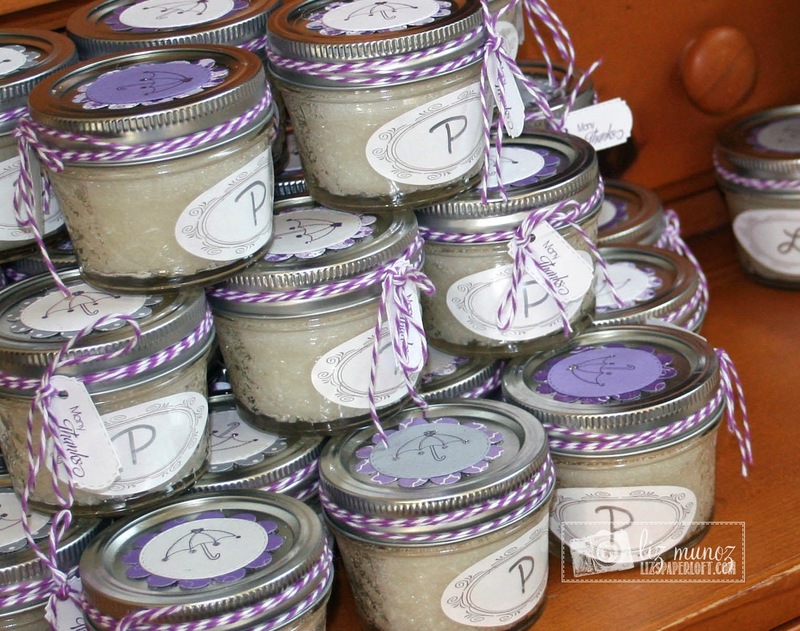 Then for the "thank you favors", we made a sugar scrub (found the recipe on pinterest). 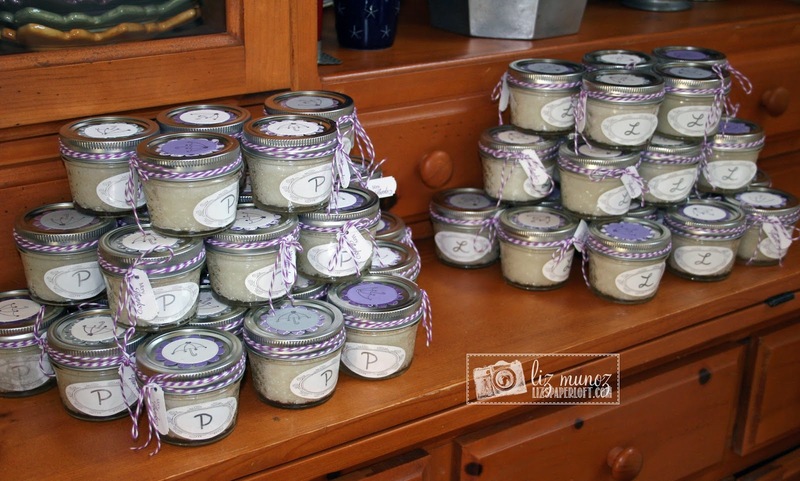 They were scented with lavender or peppermint oil...not everyone likes floral scents so the peppermint was the perfect alternative. 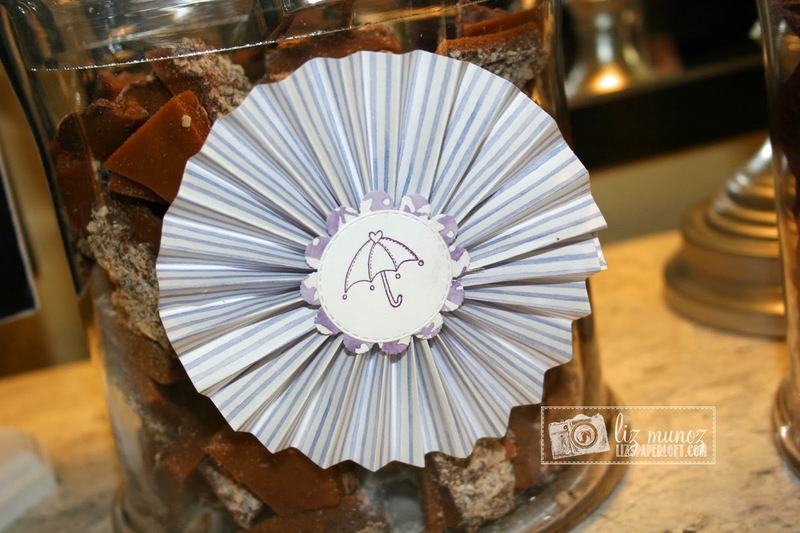 And again using the umbrella stamp and Scallop and Stitched Circle dies for the favors. Then added the tag from Chunky Jar Accessories Stamp and Diess and the "many thanks" sentiment from Teeny Tag Greetings stamp set. 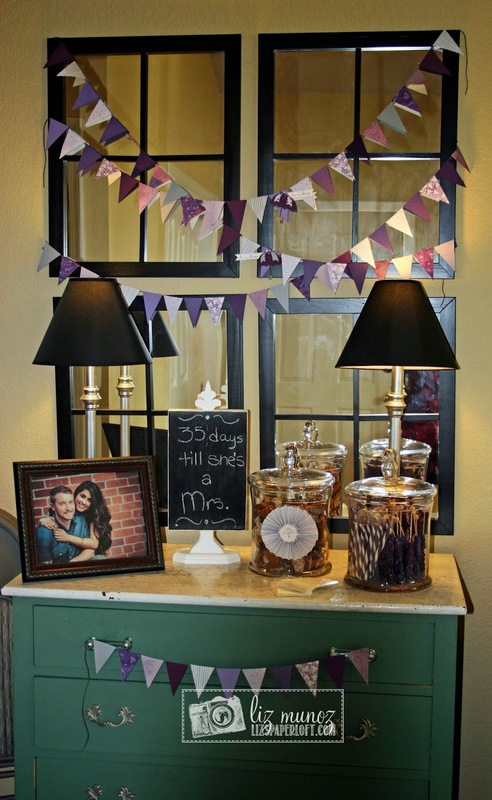 This is the banner that was hung up on the mirrors for the candy buffet. 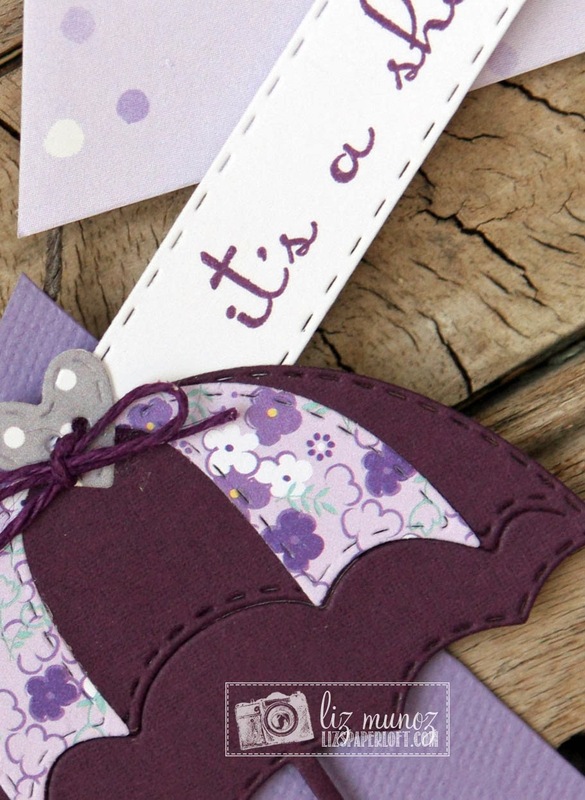 The sentiment is from I'm Here For You Rain Or Shine Stamp Set and the umbrella die is named Stitched Umbrella die! 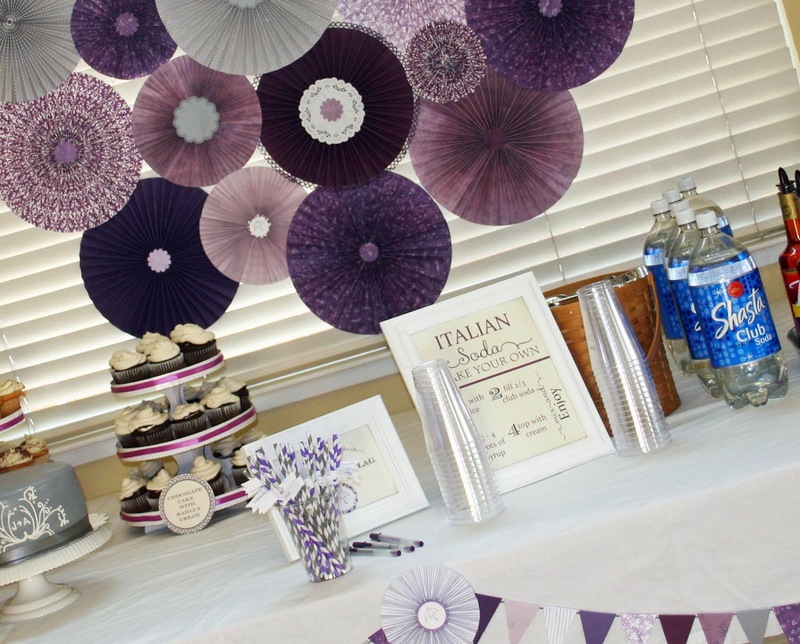 I hope you can get some ideas for your own event! I will post the wedding projects by next week. Then the wedding "chatter" should be finished! :) Well at least until the next daughter gets married! lol! You are unbelievable, Liz! What a gorgeous job you did! She must have loved it, and everybody must have been so impressed!!! 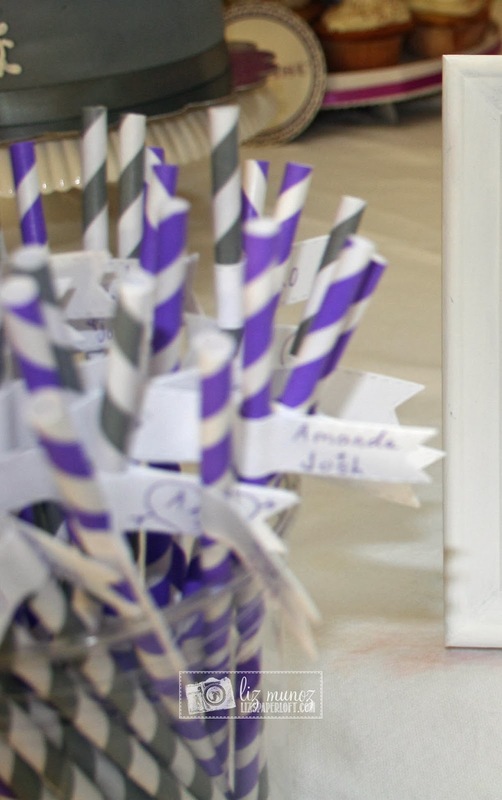 Adorable shower ideas! Beautiful colors. I'll be posting my Ahoy, it's a Boy shower pics soon. WOW!!! What a gorgeous shower!!! Everything turned out so beautifully!!!! !